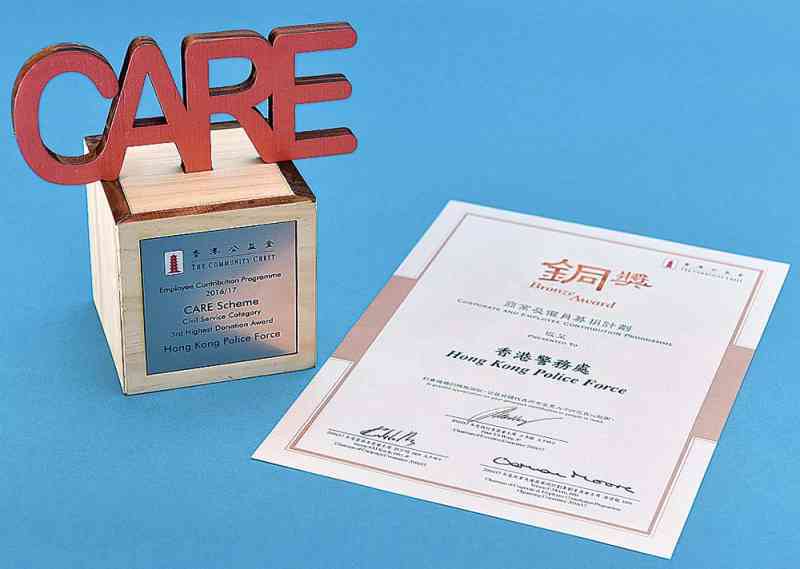 The Force won the title of the second runner-up in the "2016/17 Highest Donation Award for Community Assistance Raised by Employees (CARE) Scheme (Civil Service Category)" by The Community Chest of Hong Kong. Senior Force Welfare Officer (Support Services) of the Personnel Services and Staff Relations Branch To Ming-yin received the award on behalf of the Force at the Hong Kong Convention and Exhibition Centre on May 22. Over the past few years, the Force had won the Silver Award of the Community Chest Corporate and Employee Contribution Programme in 2011/12 and the Bronze Award for four consecutive years from 2012/13, demonstrating the Force's endeavour to carry out social responsibilities and care for the community.